Since the 1980's, the IAOM-US has dedicated itself to mentoring colleagues toward a more systematic and repeatable approach for better patient outcomes. This approach is based on building expertise in differential diagnosis so the clinician can apply treatment skills from any "system" to a precisely-understood dysfunction. 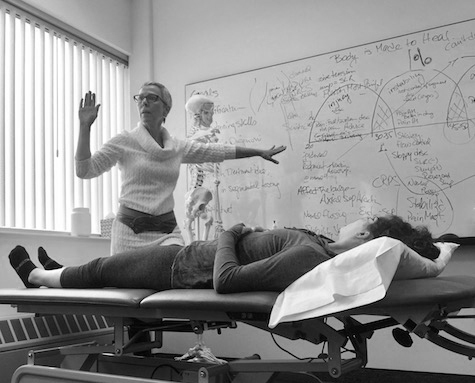 This, combined with biopsychosocial, sensorimotor control, and other learning allows those participating in the IAOM-US continuum of learning to become Complete Clinicians with a well-rounded and relationship-based approach to patient health. Our dedication to service in our community extends beyond the walls of each clinic. We are community volunteers, coaches, and active participants in the lives of Alaskans. Visit our Facebook page to see where we've been, and where we are going. Healing with a hands-on combination of touch and guided exercise, Advanced Physical Therapy helps move lives forward and into balance. Movement heals and, in that spirit, we provide the highest quality of diagnosis-specific physical therapy in a safe, healing environment because life is better with mobility! Healing begins when we respect your symptoms, treat the source of your pain, and direct you towards positive, functional activity. With improved balance and mobility, you will rediscover the simple pleasures that restore your happiness.